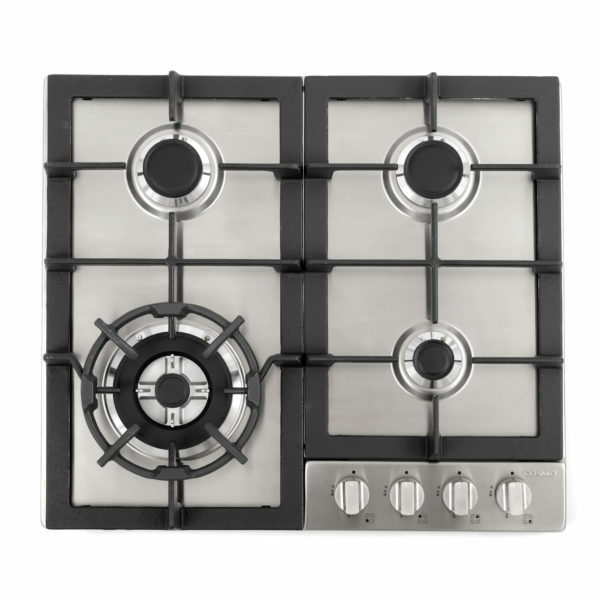 All the power and control of a Cosmo Cooktop packed into a compact yet efficient gas operated appliance. All the power and control of a Cosmo Cooktop packed into a compact yet efficient gas operated appliance. The COS-640 STX-E provides a modern and stylish finish so you have the freedom to cook multiple dishes at once, even in small spaces with finesse. 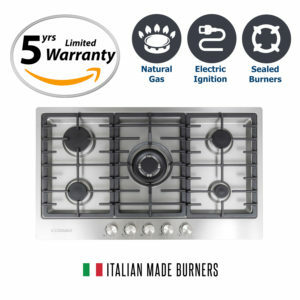 Create meals like a professional chef in your own home with 4 sealed burners which allow you to cook from a high heat for boiling, frying or searing to a low simmer for the most delicate sauces. 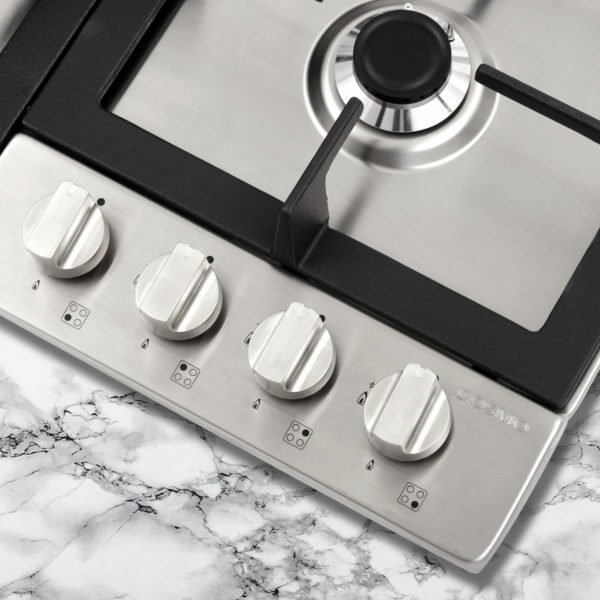 The benefits don’t stop there- our cooktop delivers advanced safety features such as Flame Failure Technology and Electronic Ignition for maximum protection and worry-free operation. 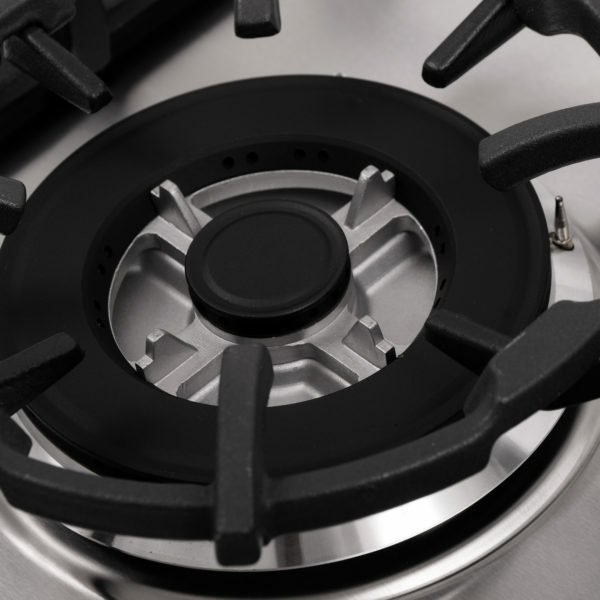 Simplify meal preparation with 4 sealed burners, including 16,000-BTU Triple Ring burner, two 6,800-BTU Semi-Rapid burners and one 5,000-BTU Auxiliary burner. 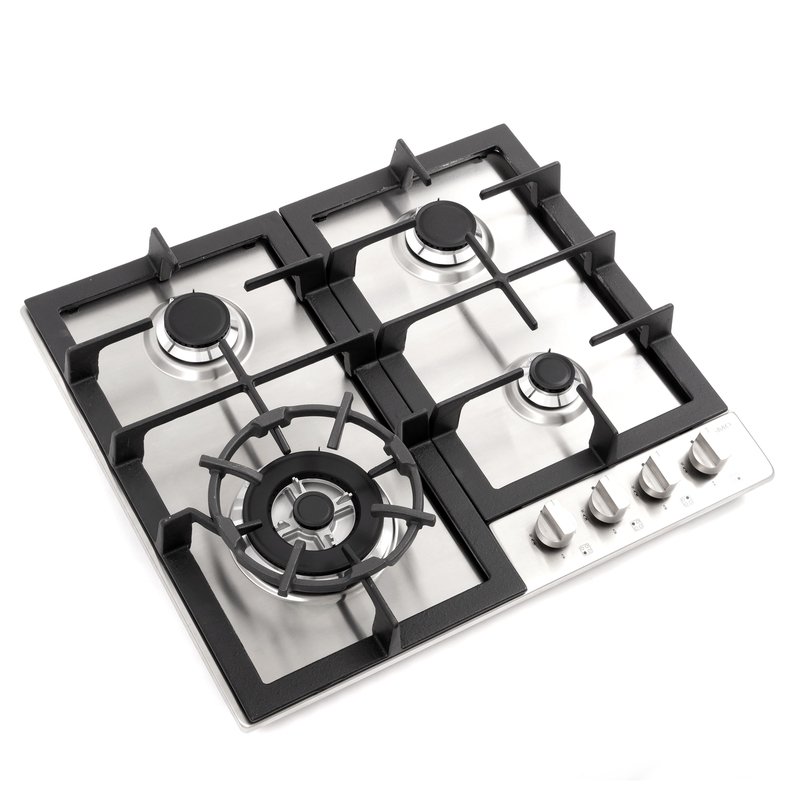 Convenient front controls provide easy access to flame settings. 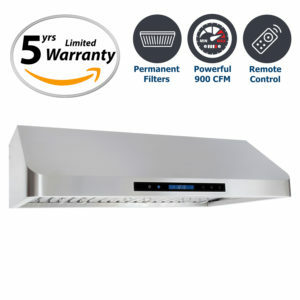 16,000 BTU Super Rapid burner for high heat searing. 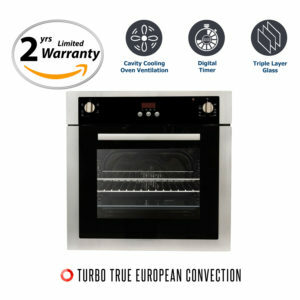 Two 6,800 BTU Semi-Rapid burner for everyday cooking tasks. 5,000 BTU Auxiliary burner for low heat cooking. 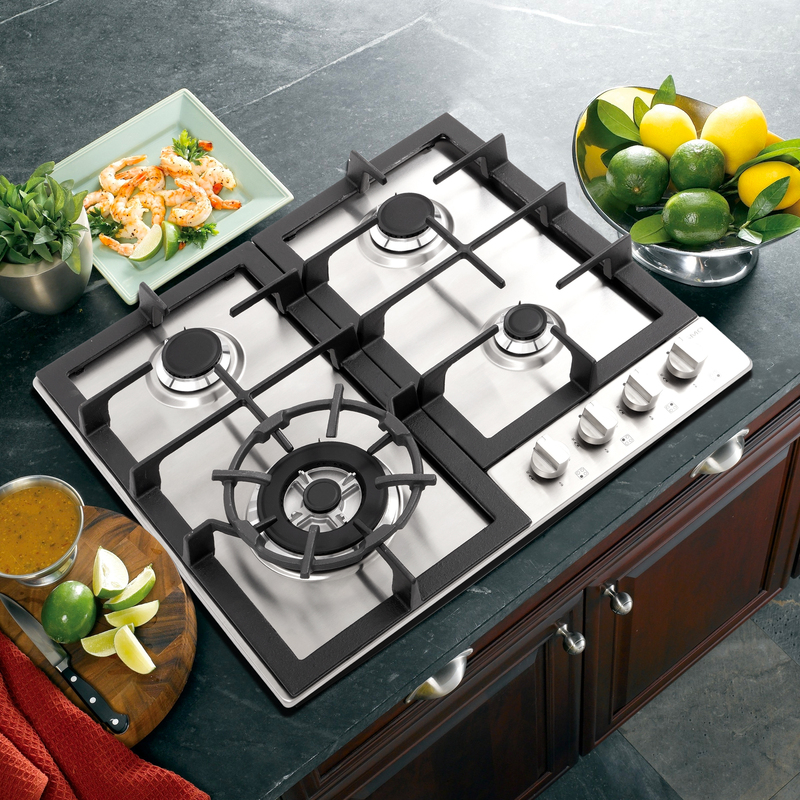 Stainless steel cooktop surface and sealed burners make clean-up easy. 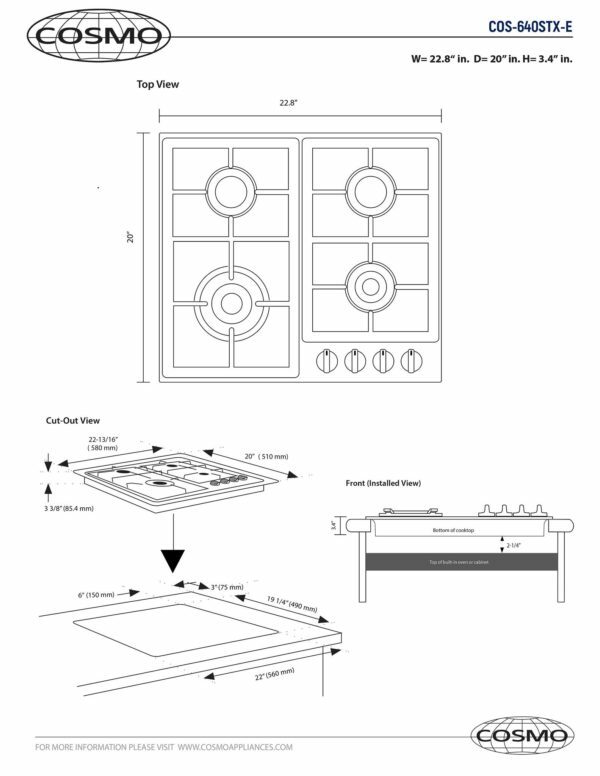 Heavy duty cast iron grates provide long lasting use and durability. 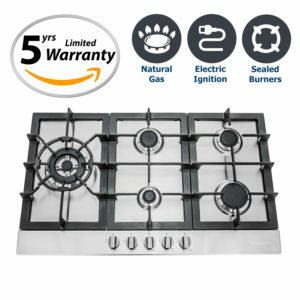 5 Years Limited Warranty, trust our Cooktop to deliver years of trouble-free use.